Shiboritate, Fresh off the Press! As the Hiyaoroshi dust settles and it gets decidedly cooler here in Japan we see the sake calender flip over to the next stage of sake joy as the first sake of the 2013 season begin to appear in shops and bars. Most breweries (the ones that don’t brew year round) began brewing anywhere from early October to November and given that it takes roughly a couple of months to see the first fruits of their labours, now’s the time. While Hiyaoroshi and Aki-agari are sake that have been laid down to mature for several months to round out before Autumn release, Shiboritate is at the other end of the spectrum as sake that has literally just been pressed and bottled with no maturation before release. Shiboritate has its fans with its brash, vibrant notes and youthful expression, often (but not always) unpasteurized this all adds up to a very lively type of sake. Along with shiboritate and shinshu (new sake of the season, not necessarily fresh off the press like shiboritate) comes the ubiquitous sugidama. 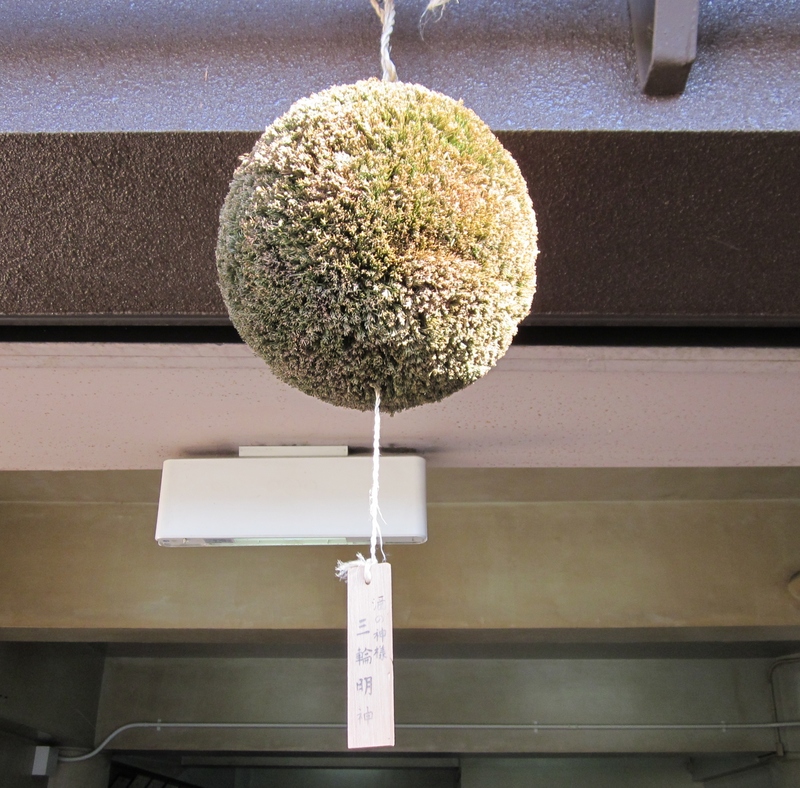 Sugidamas are a decorative ball made of Japanese cedar (sugi) pins or leaves hung outside a breweries’entrance to signify that the new season sake is up and running. These days they are also fairly commonly spotted outside specialist sake pubs and stores too woo customers with promise of fresh sake. I have to admit, while I love a bit of pomp and ceremony, I’m not usually a big fan of shiboritate. While I don’t necessarily dislike it, I rarely seek it out as I personally prefer sake a little more settled. Having said that I never actively avoid them either and this year I played my part in the shiboritate hype-up by popping in on one of my favourite breweries, Kotsuzumi. 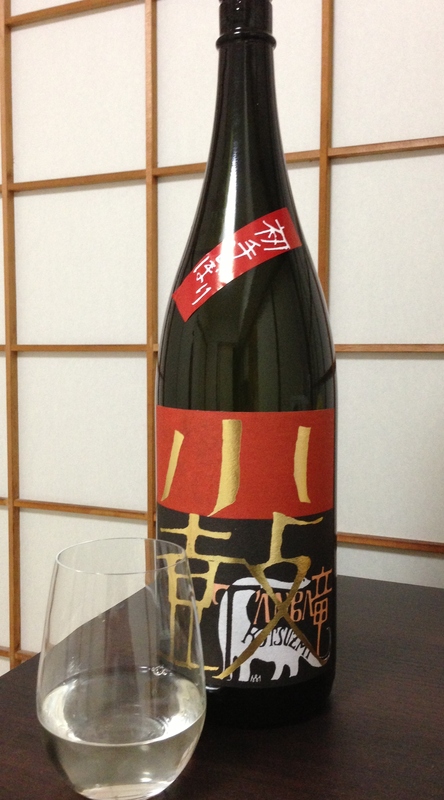 Although Kotsuzumi are one of the aforementioned breweries that brew sake all year round, every year they release their Shoteshibori Junami Ginjo Nama 初手しぼり純米吟醸. The first sake out the gates brewed with local Gohyakumangoku rice from the 2013 harvest, fresh pressed shiboritate, unpasteurized. Here in Kansai where Kotuszumi is located it sells out fast every year with many fans making the trip out to the brewery in Tamba, Hyogo prefecture to pick up a few bottles and others pre-ordering with their trusted retailer. I jumped on board as well and picked up a bottle and was hugely impressed. Whereas many shiboritate sake can show lively, brash characteristics that appeal to many, what they often lack is balance (although that seems to be the whole point, all flash!). Kotsuzumi’s offering however shows the brightness and youth of a shiboritate while managing to maintain some balance and finesse. Aromas are jumping out with peach and lychee along with hints of boiled lollies and a hit of alcohol heat. It’s not as sweet as the nose would lead you to believe as the acicity balances nicely to help it finish dry. Slick sweetness but not as cloying as many other shiboritate tend to be. A fresh, showy bottle of sunshine that I’m already looking forward to drinking again next year.